Industry reports assume that all connected devices will run 24 hours per day for seven days. But will they all run continuously? Large verticals we take for granted have peak seasons and off-peak seasons. For example, the film industry spikes with summer blockbusters, making it an ideal time to gather data on seating, viewership, age, and so on—yet that is precisely when schools close, periodically closing off valuable data that could inform lesson plans, student attention levels, and learning habits. Connected cars hog the spotlight, but smart clothing (also referred to as the e-textiles industry) is set to become a fantastic vertical for mass-market appeal. The industry promises to generate a wealth of usage data that will inform manufacturing approaches based on wear and tear, replacement cycles for sales and inventory supply, and even trending fashion. The challenge lies in generating year-round usage data for clothing that won't be worn all year. Even connected clothing is seasonal by definition, after all. Similarly, athletic clothing won't generate 24/7 usage data because it won't be worn as often as regular clothing for work or school. Even athletic clothing worn every day won't be used for more than an hour or two. It will depend on the owner's activity habits. Running shoes might have the best chance at year-round usage, but even they are likely to be replaced with boots during the winter months outside of California, Florida, and New Mexico. Manufacturers of athletic equipment face the same opportunities and challenges: they will provide an incredible potential to leverage usage data for product design, product marketing, and B2B sales data (specifically for replacement sales cycles), but they won't be used outside of sporting seasons. Solving this problem will include adopting a platform that doesn't just bill original equipment manufacturers for that usage data, but one that also has the capability to alter the status of connected clothing pieces at scale. This will prevent data from being skewed by seasonal use on an annual scale. Clothing and equipment manufacturers will need billing capabilities that accommodate unique statuses for a myriad of products sending data about usage, wear, defective components, and stress tests. Major cities—even some major states—depend on tourism to survive. Tourism peaks in the summer months for most locations across Europe and North America. Few people want to drive through the French countryside in the dead of winter or try to catch a tan during Florida’s rainy season. This means that regional weather patterns and customer availability will dictate how and when connected devices in the tourism industry will operate. Connected rental cars and smart hotel rooms will be able to gather a wealth of information, but it will need to be organized within specific windows of time every year. Regions with consistently warm weather may be able to operate on a regular basis, but their customers still operate on a schedule with peaks and off-times. Usage billing alone doesn’t facilitate a consistent source of revenue outside of the peak season for tourism. The industry will need to deploy software that can monetize enough usage data to supplement seasonal income spikes, or leverage data to redistribute their products, services, and connected assets in other markets. Having that kind of data in hand could inform strategic decisions to expand a taxi fleet of connected cars, or pricing hotel and cottage rentals more competitively. Seasonal usage data could inform companies’ supply of special equipment, and be monetized as sales data for other companies to accrue stock for related items—anything from sunglasses to bathing suits, and everything in between. EngageIP lets enterprises gather—and even monetize—this kind of data to make informed strategic decisions to generate higher revenue. The world needs smart cities, and we can't build them without the construction industry—but this is a seasonal vertical for many places throughout the world. Little to no construction happens in the winter or the spring due to hazardous precipitation. Construction is a huge undertaking that requires precise logistics. It takes heavy equipment, special materials ordered and delivered at specific times, and the optimization of both general and specialist labour to handle all of it. Unfortunately, all of that only generates revenue for half of the year, in many regions. Companies producing those vehicles and equipment could leverage data on usage, location, and maintenance to improve their products and delivery systems while optimizing their resources without a doubt. They will need that information to optimize their operations because—like the tourism industry—the construction industry can’t rely on a steady monthly stream of revenue from retainers, rentals, or labour. 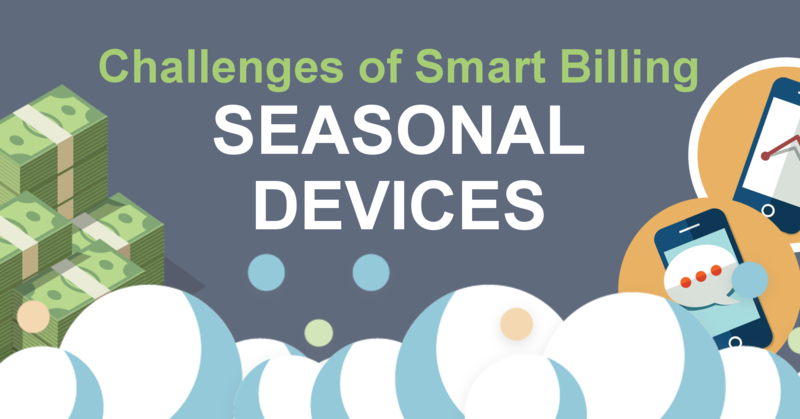 The challenge lies in gathering that data from limited seasonal use to generate new revenue opportunities. That data would also inform pricing structures for the manufacturers as well as the cities and regional companies paying for it. EngageIP solves this exact problem by letting enterprises create their own monetization strategies based on usage, region, data volume, and even custom dimensions. The key to overcoming seasonal timing at scale lies in using a system that can apply conditional logic in a spectrum of different circumstances. Fishing vessels and farming equipment will become connected devices within the next five to ten years, like most specialist devices and vehicles in the world. Unfortunately, they won’t run every day, week, or month of the year—yet we depend on fish and agriculture for our daily sustenance. This highlights a gap between supply and demand based on time-sensitive availability. Data generated from connected equipment won’t change the seasons on which these industries are based, but that data will show manufacturers how to optimize their products and the supply of those products. How often is each vehicle or piece of equipment used? How efficient is the fuel consumption? How often do components need replacing? When is the best time for vehicle and equipment maintenance? That is precisely the kind of data that EngageIP can help enterprises monetize as they optimize their revenue models according to live data on scarcity, demand, and regional business opportunities around the world. Not every connected device in the Internet of Things will run every day, week, or month. However, enterprises can deploy a smart billing platform to identify new revenue opportunities that will offset the revenue draught in the off-seasons. Download our report: Driving Profitability in the Connected Economy to find your next IoT revenue stream. Ryan is a seasoned telecommunications expert with a broad background in both the service provider and software vendor sides of the business. Ryan is currently responsible for worldwide sales at LogiSense. During his tenure, Ryan has held executive level positions including Senior Sales Executive, and Director of Sales. In these roles, he has provided strategic sales, product, and market guidance for our next generation IP service management solutions. Prior to LogiSense, Ryan held B2B sales roles within the ISP and Digital Imaging verticals. 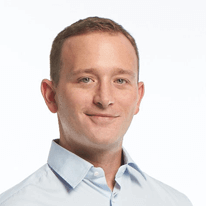 With a flair for selling complex solutions at all levels, Ryan has more than a decade of sales and product management experience in the telecommunications industry. Ryan holds a Bachelor of Science degree in Computer Science from Wilfrid Laurier University.